We have seen multiple sets of photos showing the camouflaged 2020 Mercedes-Benz GLS test mule during its road tests, but today, Mercedes has finally given us official shots of the SUV free of any kind of mascara. Fancy a look? Just as we expected, the new GLS looks much like the GLE, especially in the rear. That said, it boasts more chrome elements throughout the body. The cabin also has some GLE features, such as the digital dashboard represented by two displays merged into one. 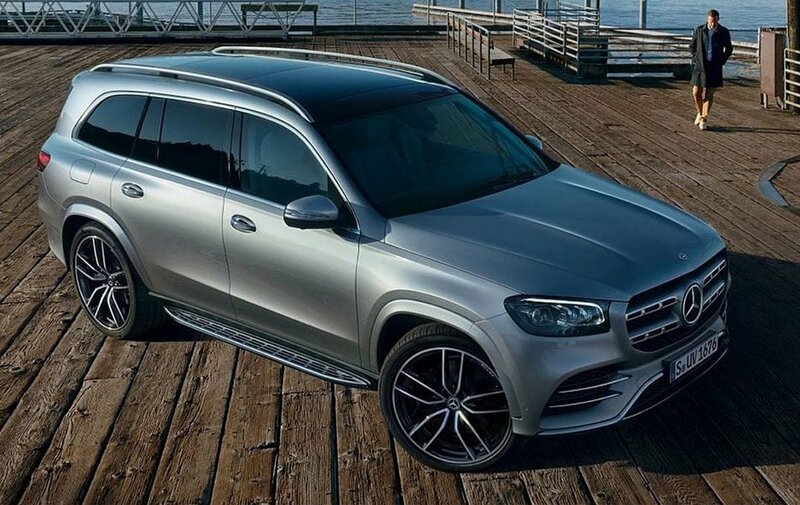 The 2020 Mercedes-Benz GLS is a bit more spacious on the inside, owing to an extra 60 mm (2.4 inches) of wheelbase. The car will ship with a choice between a few gasoline engines and a mild-hybrid drivetrain based on an inline-six engine. AMG versions will get a 4.0-liter turbo V8. Regardless of your engine preference, all cars ship with a nine-speed automatic transmission. The SUV will celebrate its premiere at the 2019 New York Motor Show and become the main rival of the BMW X7 once it hits the market.